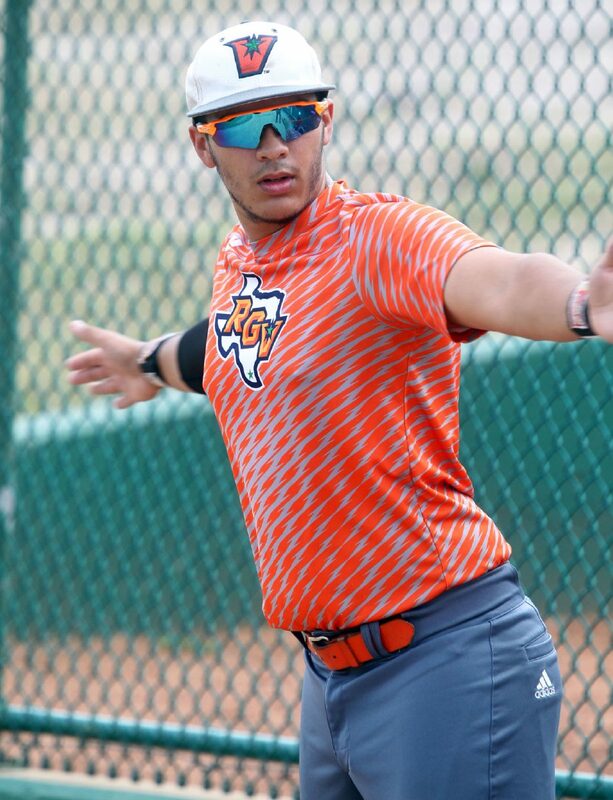 EDINBURG — Last season, Ryan Jackson often parked just beyond the outfield fence at UTRGV Baseball Stadium and watched his old team run through practice. 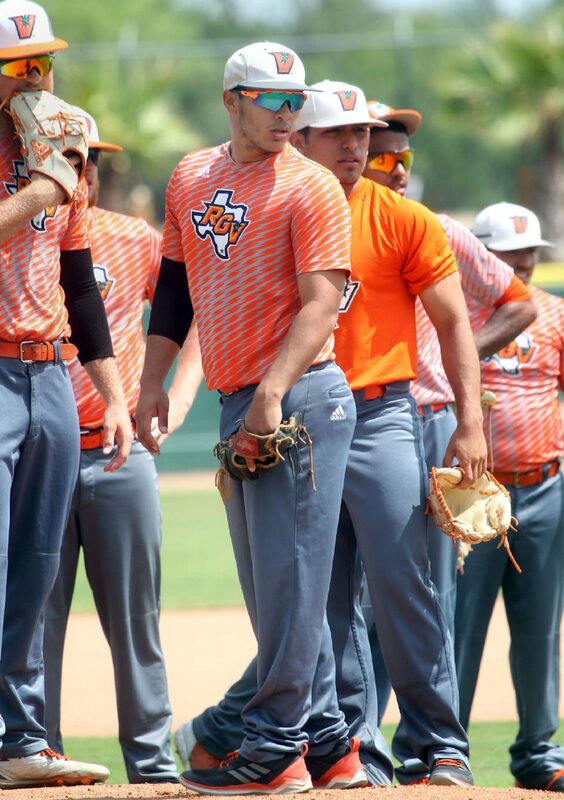 After pitching for the program in 2015 and 2016 following a standout career at McAllen Rowe, Jackson chose to step away from the sport and get a job. His father was suffering from a grapefruit-sized tumor in his kidney, and Jackson wanted to help support his family at the cost of his athletic career. Jackson said his parents never wanted him to leave the team, but Jackson knew he couldn’t focus on baseball at the level necessary to be part of a Division I program. He stayed in classes at UTRGV but also started working at Academy Sports + Outdoors and as a baseball instructor with Ochoa’s Baseball Academy in McAllen. UTRGV pitcher Ryan Jackson during baseball practice at UTRGV Baseball Stadium on Wednesday, May 16, 2018. UTRGV's Ryan Jackson goes through stretching exercises during practice at UTRGV Baseball Stadium on Wednesday, May 16, 2018. UTRGV Ryan Jackson during baseball practice at UTRGV Baseball Stadium on Wednesday, May 16,2018. Through his work as an instructor, Jackson was still around baseball every Monday through Saturday. Eventually, he joined a league with his friends that played on weekends. By September, he started to take the game more seriously, getting back into long toss and bullpen sessions with hopes of making an impression at an offseason camp for the Corpus Christi Hooks or Tampa Bay Rays. Only about a week before the start of UTRGV’s 2018 season, Jackson linked up with new coach Derek Matlock and threw a bullpen session. A simulated game a few days later was the only other thing Matlock needed to see to add Jackson to the roster. And during the first game of UTRGV’s season on Feb. 16 against Central Michigan, Matlock shocked his assistant coaches by giving Jackson the ball in the ninth inning of a two-run game. Just a few months after thinking he would never play collegiately again, Jackson earned the win against CMU. He went on to become the team’s most sturdy bullpen arm, racking up 44 2/3 innings with a 3.22 ERA as UTRGV enters its final regular-season series against New Mexico State beginning at 7 p.m. Thursday at UTRGV Baseball Stadium. Jackson’s father, 51-year-old Ruben Jackson, said he was shocked and depressed by his son’s decision to leave the UTRGV program. A passionate baseball fan all his life, Ruben said he stopped going to UTRGV’s games once Ryan stepped away. He said he thought Ryan’s choice had a lot to do with his scholarship. Ryan played as a preferred walk-on as a freshman, earned a partial scholarship as a sophomore and then did not have that scholarship renewed during his junior year, Ruben said. Ruben had been out of work and feeling lethargic for at least a few months before the diagnosis of kidney cancer came last fall. In March, he underwent successful surgery to remove his kidney and the attached tumor that weighed about 8 1/2 pounds, Ruben said. 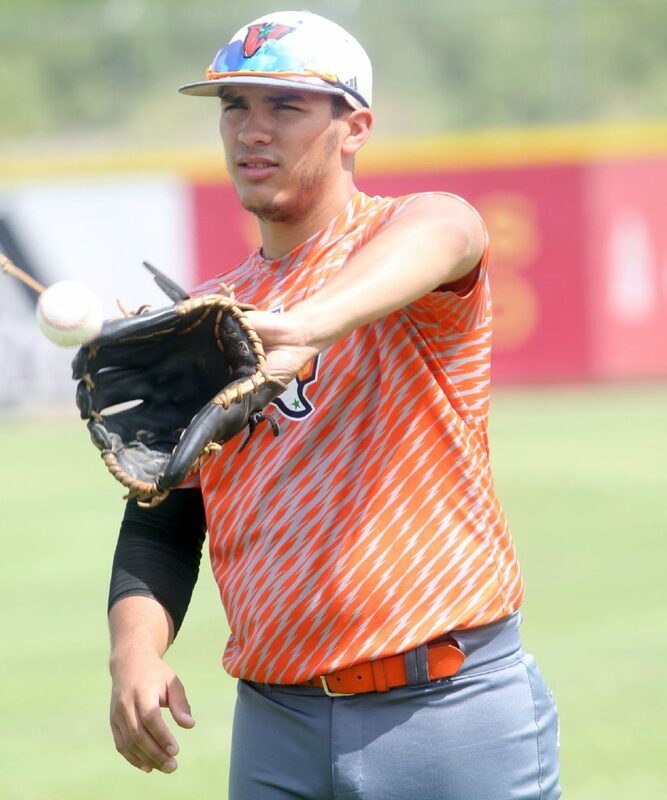 Against doctors’ wishes, he was back at UTRGV Baseball Stadium to watch Ryan on the Friday after having surgery on Tuesday. Ruben said he’s feeling well and starting to look for a new job, though he’ll need regular checkups for at least a few years to ensure his cancer doesn’t spread. During the process, he occasionally saw the burden his struggles put on Ryan. An assistant coach with UTRGV told Ruben that on the day of his surgery, Ryan secluded himself in a corner while the rest of the pitchers were going through preparations for a midweek road game. Ruben said he was proud to see that Ryan still pitched that night. When Ryan first threw a bullpen in September, he was shocked to see he still hit 89-90 mph on the radar gun. Matlock said Jackson now sits regularly in the low 90s and complements that with an 84 mph slider — reasons Matlock had no hesitation going to Jackson in the closer role after a season away. Jackson has picked up seven saves this year, and his ERA of 3.22 is a vast improvement from his 4.82 as a freshman and 5.14 as a sophomore. He’s also posting better strikeout and walk rates than his previous seasons, with 40 strikeouts against five walks in 44 2/3 innings this season. Matlock said Jackson has a “plus plus” makeup. Teammates easily accepted him as a newcomer to the bullpen rotation, and he quickly proved himself a fit for pressure situations. Against TCU on March 6, he threw a scoreless inning with a strikeout, impressing TCU coach Jim Schlossnagle. Matlock believes Jackson could be even stronger as a senior next year. Jackson said he entered the 2018 season expecting to throw only about 10-15 innings, and his arm has grown tired as the year has worn on. Jackson said he expects to have more stamina next year after a full offseason of workouts. With an entire fall at UTRGV, Matlock said Jackson should be able to stretch his velocity to 92-93 mph and advance his changeup, giving him a third pitch and potentially making him a candidate for the starting rotation. More immediately, UTRGV faces an uphill battle to try to extend its season as one of four teams fighting for the sixth and final berth in the WAC Tournament. UTRGV (22-29 overall, 7-14 WAC) hasn’t won a series since March but needs to win at least two of three against second-place New Mexico State (34-18, 15-6 WAC) to even have a chance of qualifying. UTRGV is 6-19 in its last 25 games, including a 4-13 mark in WAC contests.